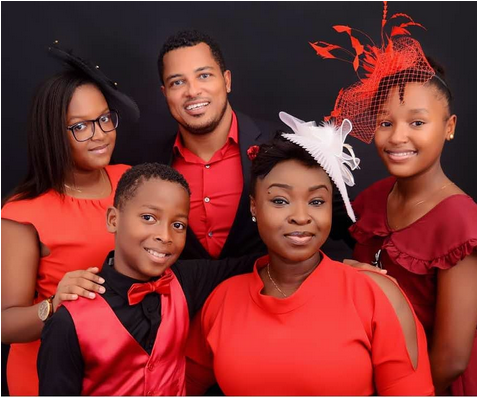 Ace Ghanaian actor, Van Vicker has revealed that the best thing to ever happen to him was his family. The actor shared a photo of himself with his family over the weekend on his IG page. He took time to explain that he would not have thought of a family about 14 years ago but right now, they’re the best thing that ever happened to him. "This photograph was taken over the weekend. In my hands I couldn’t help but stare. Family is such a beautiful thing man. 14years ago my perspective was different. I can not trade this for anything, nothing is worth it. Family is everything. Reciprocate the love. Electrify the care. Cherish the bond. #theyounggodfather."